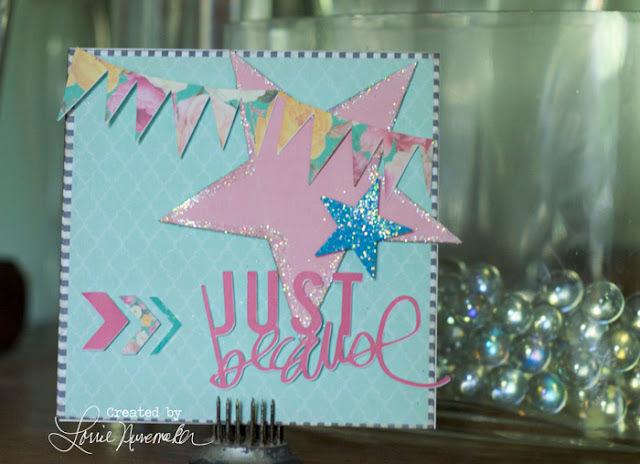 Heidi Swapp gave away the cute "Just Because" digital freebie the other day. I knew I wanted to make a card with it. I used her Digital Sugar Chic files, my Silhouette and came up with this card.